EU regulators opened in-depth probes today into two takeover bids in the hard disk drive market involving two Asian and two US companies: Western Digital buying Hitachi Global Storage Technologies (GST) and Seagate buying Samsung Electronics' HDD unit. The EU is concerned the deals would reduce the number of rivals. "Hard drives are the backbone of the digital economy," EU competition commissioner Joaquin Almunia said in a statement announcing the investigation. "The sector has already experienced significant consolidation and the proposed acquisitions will further reduce competition." Western Digital announced in March 2011 its intentions to buy Hitachi GST in a cash and stock deal valued at about $4.3 billion. Under the terms of the agreement, Japan's Hitachi will sell its wholly owned HDD business for $3.5 billion in cash and 25 million Western Digital common shares valued at $750 million, based on a stock price of $30.01. 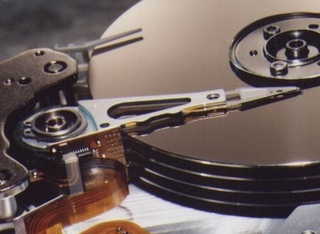 Seagate Technology announced in April 2011 its plan to buy Samsung's HDD business for $1.375 billion in cash and stock. In addition, the companies will enter into a NAND flash memory supply agreement under which Samsung will provide Seagate with its NAND flash memory chips for use in Seagate's enterprise SSDs, solid state hybrid drives and other products. The Seagate and Samsung deal would consolidate the US company's position in the HDD market, leaving only two rivals, Western Digital and Hitachi. The Western Digital and Hitachi transaction would result in only one company competing in desktop HDDs and just two rivals in mobile HDDs, according to the EU Commission. The original deadlines for a decision on the deals were both this week: Seagate-Samsung on Monday and WD-Hitachi on Tuesday. The Commission has now delayed its decision whether to clear or block the two deals to October 10, 2011.